Atlas Obscura 29 November 2016: "A hoarse, yelping bark rang out from the wooded hillside. Then again. The unearthly calls, sounding somewhere between fox and cat, continued in a steady sequence, carrying through the forest’s mossy tree trunks and damp leaf litter, growing louder as they approached. Then, abruptly, the woods fell silent. 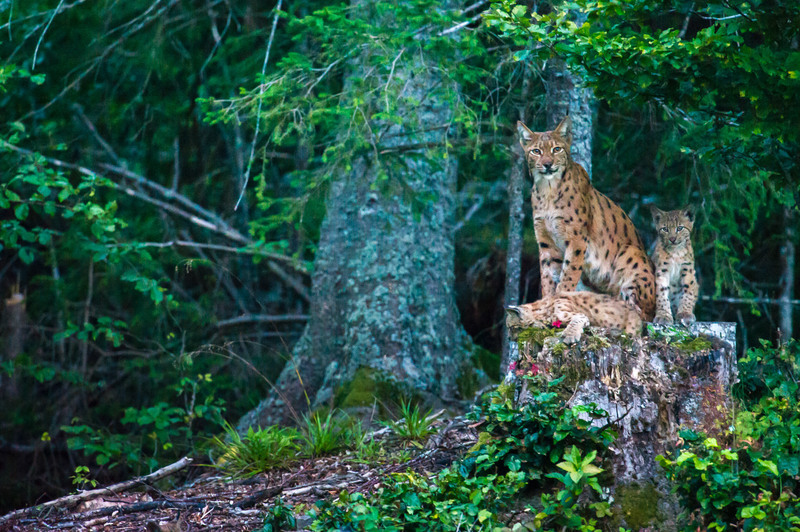 'I knew he must be close when the call stopped,' explains French wildlife photographer Laurent Geslin, recounting the moment in January 2011 when he first laid eyes on a wild Eurasian lynx. “I knew that he must have seen me.” Geslin, who has spent the past six years pursuing this elusive beast through Switzerland’s Jura Mountains, was confident that the cat, though shy, would be curious. All he had to do was keep quiet and watch.